In fact, some suggest “the depth of your choir’s musicality is directly linked to the depth of your score study" (source). Think of this as a handbook for preparing to teach (and/or accompany) a new piece and develop your musicianship skills at the same time. Please don't feel like you need to practice every piece in all the ways outlined below, but remember, the more ways you practice, the better your coordination skills will be, the better prepared you'll be to lead the piece (whether conducting or accompanying), and the more you'll continue developing your musicianship. 1 | Look at the texture and part-writing. Is there a lot of divisi? Are there any unison sections? Is the texture consistent throughout or does it change? Are new parts (descants, children’s choir part, etc.) added partway through? 2 | Notice the form. Are there any repeated sections? Is there a recurring chorus? Are there parts that are similar but different? Add measure numbers and mark large sections, beginnings of verses, etc. for easy rehearsal planning later. 3 | Play through the accompaniment and each part individually (including instrumental parts, if applicable). 4 | Practice playing parts in different combinations, or singing one part and playing another: SA, TB, AB, ST, ATB, SAB, etc. 5 | Practice singing each part while playing the accompaniment. If you direct from the console (organ or piano), this is an invaluable skill! 6 | If there is an instrumental part, but no instrumentalist, practice playing the obbligato with the accompaniment (if feasible). 7 | Pay attention to dynamic markings. Highlight score if needed. Think about the overall dynamic plan for the piece. 8 | Observe phrase-markings, sing through the lines, and anticipate where you want the choir to breathe and carryover. Think about cut-offs and how you will cue this. 9 | Look at articulation markings, especially accents, sfz, fp, and staccato markings. 10 | Check metronome markings and think about an ideal tempo. Look carefully at tempo changes and places that speed up or slow down and think about how to prepare this in the accompaniment and with gestures. 11 | Consider the style of the piece, character, and appropriate performance practice. Is it a spiritual? A hymn arrangement? A Renaissance motet? Is it in English or another language? 12 | Think about vowel sounds. Predict challenging words and placement and think about places that might require vowel modification. 13 | Look at starting and ending consonants and think about spots that might need extra attention. Pay close attention to words that end with “s” but sound like “z,” such as “closes” or “ends." 14 | Think about breaths in between phrases and when you want the choir to start breathing to come in (instead of gasping at the last second!). 15 | Read through the text again and think about the overall message. How can you convey this to your choir the first time you introduce the piece? For more helpful tips, examples, planning worksheets, and more, see Katherine Tiefel's Great Choral Rehearsals. How do you prepare a new anthem? What kinds of things do you look for? 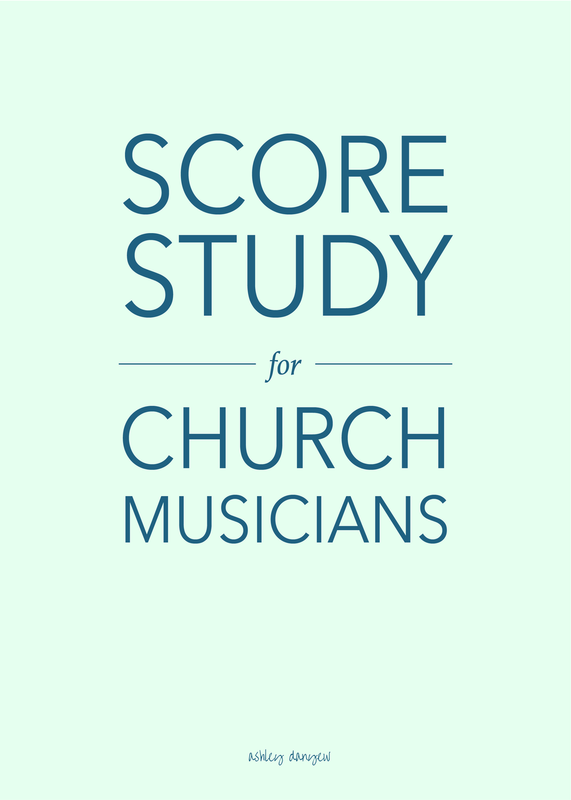 Join me in The Church Musician Primer, an online keyboard skills class for church music directors, keyboardists, and organists to help you learn and develop must-have 21st century music skills.